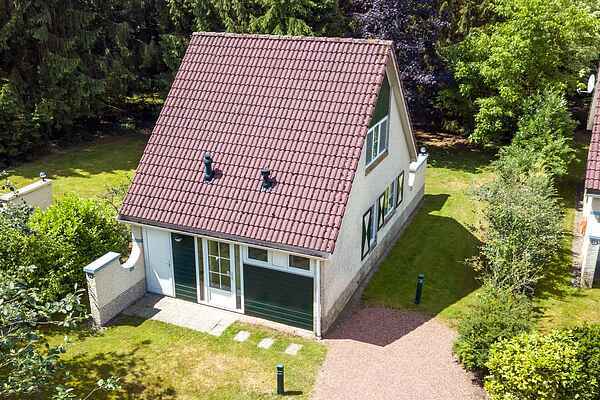 The detached holiday houses at Hellendoorn Holiday Park are available in two 6-person variants: a standard variant (NL-7447-15) and a comfort variant (NL-7447-05). The difference between them is that NL-7447-05 comes with a dishwasher, washing machine and dryer. All holiday houses are neatly and comfortably furnished and are situated either on the pond or at the edge of the forest. You will also have a garden with a terrace and garden furniture for your use. Every holiday house has a parking space for your car.